Brother Seamus Plunkett Nolan cfc passed away peacefully early on Wednesday morning last surrounded by his family and his Christian Brother community at the Cowper Care St Patrick’s nursing home in Baldoyle. May his good and kindly soul rest in peace. 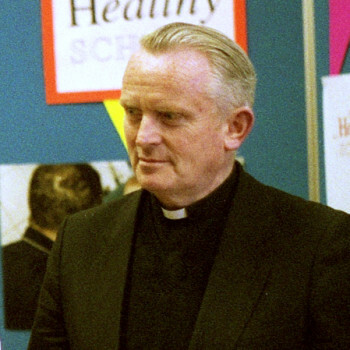 He was known to many in the education world because of his long and immense contribution to teacher education at the Christian Brothers Training College in Marino. Many Brothers who passed through the college over the years, either as students or as members of staff, will remember him with fondness, as will the countless number of young lay students who had the privilege of knowing him from the 1970s onward. He had a saying in Irish whenever he was concluding a lecture or a piece of work, “Ní beag san.” It means, literally, in English, “That’s no small achievement.” I feel certain that this phrase is what his good soul might have said as he departed this life on Tuesday evening. The phrase, so oft repeated, also captures his whole attitude to life, to live life fully, without making unwarranted demands upon it. He was generous with students, never judgmental or critical, and always searching for the kind, encouraging word that would prompt further progress. His interest in people, in students and in all who crossed his path meant that he rarely forgot a name, a face or a story. In his later years he could entertain former students or Brothers with anecdotes and humorous stories about life in the college, the foibles of academics and the occasional success with the Department of Education. All of these stories, although laced with exquisite and telling details, were never unkind or ego-serving. In fact, they spoke volumes about his ability bring out the best in people. Ego or ambition were never on display. His was a humble service of others. Something of a polyglot, he could lecture in any area of the curriculum with clarity and depth. This came from a remarkable commitment to study and learning. A visit to his office would always reveal the extent of his academic library and, in his early years, long hours were spent boning up on the more unfamiliar areas. When lectures emerged from this laboratory they were never boring. They were always supported by illustrations (he used AV aids long before they were commonplace), pertinent anecdotes and laced with dry Dublin wit (even ‘try mheán na Gaeilge’). His wide-ranging talents extended to the visual arts and to music. His love of Irish was infectious and inclusive. Even the most diffident would soon feel perfectly at home with him and would soon rally the confidence to speak Irish fluently. Many of his students went on to become distinguished writers, scholars and poets in the language. Those who were with him on trips to the Gaeltacht will remember his lectures on Irish archaeology, flora and fauna, and on the folk stories of the local people. For many their love of Irish, the Gaeltacht and Irish heritage began there. Above all, he was a loyal and committed Christian Brother, a man who throughout his life gave testimony to a deep and modest faith. The respect in which he was held was amply demonstrated by his being elected by the Brothers to serve on Chapters and leadership teams at different points in his life. In his later years, up to a few months before his death, he served with professional competence and attention to detail in his work at the Province Centre in Marino where he was loved and appreciated by all. He will be greatly missed. Stephen Covey, in his The Seven Habits of Highly Successful People, noted that the four great life-tasks are: to live, to love, to learn and to leave a legacy. All four were fulfilled and visible in Brother Seamus’ life. As he would say: “Ní beag san.” In Brother Seamus we have lost a great Christian Brother, a great educator and a friend to many. Ar dheis Dé go rabid a anam dilis. 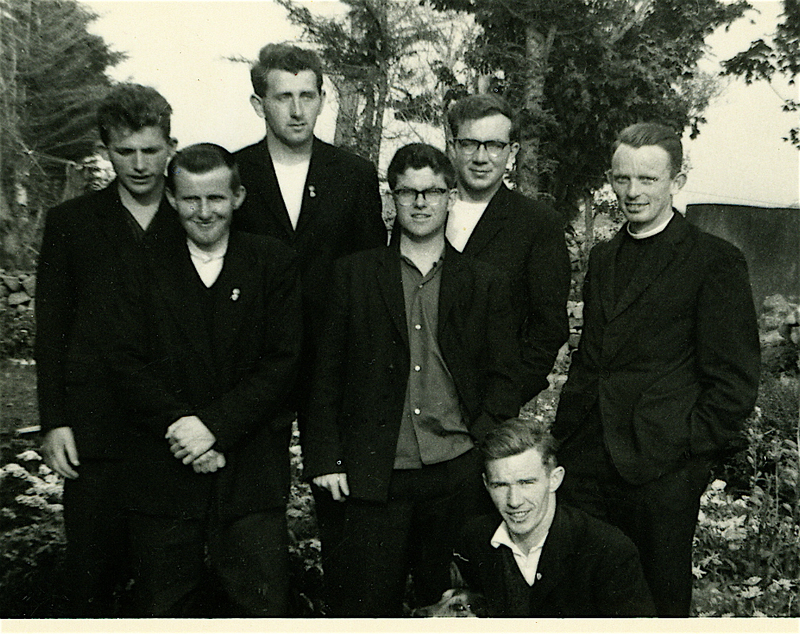 A group of novices with a very young Brother Seamus . Please provide information in the comments section below. I would be interested in identifying the other men in this photograph. Is one of them Tom O’Connell? I think I could possibly identify 4. Thank you, Dan, for that information. Job done! I understand that Brother Cornelius John Shreenan my old headmaster was nursed in Baldoyle until he passed away in August 2009. I would love to know where he is buried to one day visit and pay my respects.RIP dear Brother. I have replied to you privately via your email address. Thank you for your comment. Brother Shreenan was a highly respected Christian Brother. Sadly, I have just come across this news of Br. Seamus Plunkett Nolan/s death. He was everything the appreciation above suggests – a deeply Christian person, a scholar, a modest genius, a patient and even mentor and of course a source of devastatingly witty throw-away comments. It was his natural instinct to be himself that allowed him to move so easily between the different spheres he inhabited. Thank you, Muiris, for your appreciation of the wonderful man that Seamus Nolan was. He has left a wonderful legacy of memories and inspiration for us all. Brother Brian Monaghan is a Christian Brother currently living in Belfast, Northern Ireland. He is also a poet with a deep sense of place, deploying a language rooted in his native vernacular. His poetry gives voice to his sense of God and to the relationships that continue to inform his work and his life as a Brother. Brian's Story from Donal Leader on Vimeo.